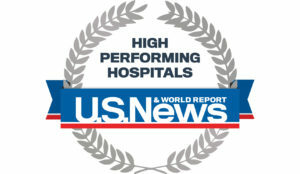 MD Anderson Cancer Center at Cooper was recognized as a top performing hospital for colon cancer surgery in U.S. News & World Report’s 2018-2019 Best Hospitals survey, released yesterday. “This recognition reaffirms MD Anderson at Cooper’s role as a leading academic health system and our commitment to providing the highest level of cancer care to our community,” said Kevin M. O’Dowd, JD, Co-President of Cooper University Health Care. For the last five years, MD Anderson at Cooper has been an integrated clinical partner with The University of Texas MD Anderson Cancer Center, the nation’s top-ranked hospital for cancer care by U.S. News & World Report. MD Anderson has held the No. 1 ranking 14 times in the last 17 years, including this year. The rankings — which compare more than 4,500 medical centers across the country — are based primarily on objective measures, such as risk-adjusted survival and readmission rates, volume, patient experience, patient safety, and quality of nursing. Cooper University Health Care and The University of Texas MD Anderson Cancer Center – a world-renowned cancer center – have partnered to create MD Anderson Cancer Center at Cooper. The physicians at MD Anderson at Cooper adhere to the practice standards, treatment protocols, and guidelines set by MD Anderson in Houston, Texas. Disease-site specific multidisciplinary teams consisting of physicians, nurses, and other clinical specialists work together to provide cancer patients with advanced diagnostic and treatment technologies, access to a wide range of groundbreaking clinical trials, and dynamic patient-physician relationships. A full complement of support services provides complete, compassionate care for our patients.